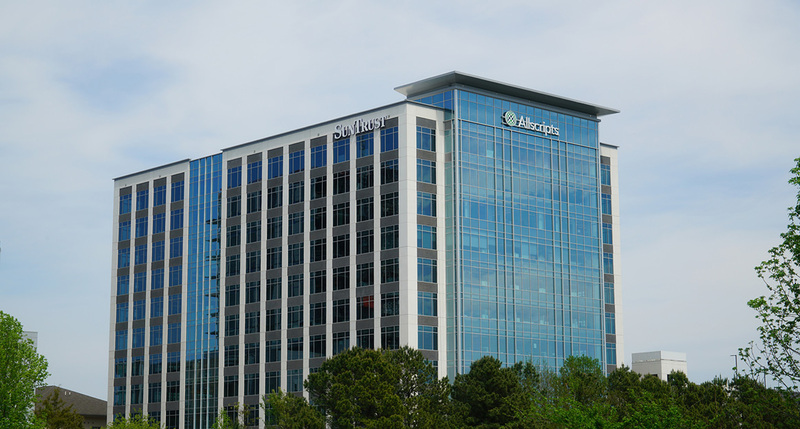 KBS Realty Advisors, of Newport Beach, California, and Kane Realty Corp of Raleigh, NC announced today the sale of Midtown Plaza, a LEED Silver 329,613-square-foot, Class A office development located in Raleigh, NC. The property was sold at $127 million, exceeding the company’s expectations. Midtown Plaza features 12 levels of office space with a café on the first floor, a contemporary lobby, high visibility from the I-440 Beltline, and adjacent structured parking incorporating public art and an outdoor fitness area. North Hills is a flourishing, mixed-use development providing luxury hotels and apartments as well as a multitude of well-known retail and restaurant options. James Cassidy and Jud Ryan of Newmark Knight Frank represented KBS in the transaction. About KBS KBS Realty Advisors is a private equity real estate company and SEC-registered investment advisor founded in 1992. KBS Realty Advisors and its affiliated companies have completed transactional activity of over $36 billion via 16 separate accounts, six commingled funds, five sovereign wealth funds and seven non-traded REITs. For information, visit www.kbs.com. Live, work, shop, dine, and play at North Hills. This innovative, multi-faceted district offers many options to live and stay a while— with four-star hotel rooms, Park Central Apartments, The Dartmouth Apartments, Park and Market Apartments, Midtown Green Apartments, and The Alexan. Parks and many gathering spaces offer plenty of fresh air, while conveniences such as dry cleaning, banks, and a pharmacy are just a leisurely stroll away. Quality-of-life amenities are also at your fingertips, such as renewing spas, salons, Entertainment venues, such as a 14-screen cinema, Kings Bowl, World of Beerand the new Midtown Park, are right next door. Premier dining establishments, high-end boutiques, department stores, and cafés are all a few steps in any direction. For more information, please visit VisitNorthHills.com.